James Edward Williams, born March 21, 1945 in Coolidge, TX was a father, brother, uncle and husband. He was raised in Wichita Falls, TX and graduated from Booker T. Washington High School in 1963. He was extremely proud of his classmates and continued throughout his life connecting with them. He went on to Texas Southern University in Houston, TX. and returned to Wichita Falls where he met and married Olistena Williams. From that marriage was born his only child, Ava Brown who thought he was the smartest man alive. James taught her good study skills and was a staunch believer in accuracy and neatness. Thank you dad for giving me an imprint that I will never forget. Everyone who knew him, knew him to be a jokester and quick witted. He loved to laugh and was infectious to all those around him. Children adored him and always wanted to be around him. He treated everyone with love. He was a huge football fan who also played in high school. Dallas Cowboys was his team of choice and he made sure you knew it. 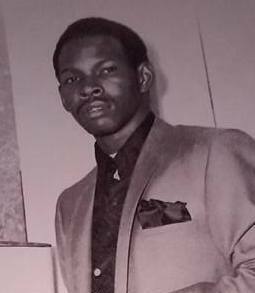 He was preceded in death by his parents, Lawrence and Cewillie Williams, his older sister Victoria Brown and his late wife, Linda Williams. He will be sadly missed by his daughter, Ava Brown, his grand children, Crystal Brown and Jordan Brown; his great grandchildren, Corey Williams and Nyla Mayes; his two sisters, Hannah Marie Williams and Claudia Hayes and a host of nieces and nephews.